This beautiful Embrace White Hemp Biodegradable Urn is sustainably made with a hemp covered base and a handmade paper top. 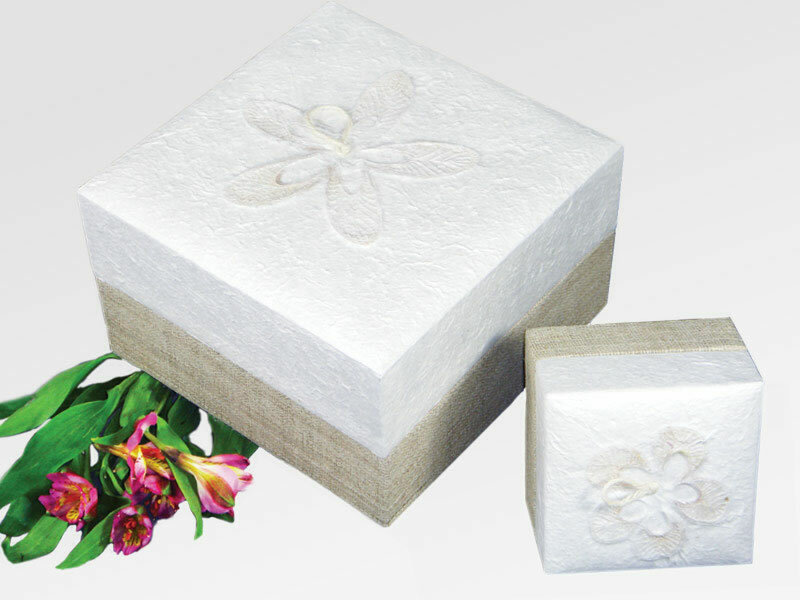 Floral materials are crafted by hand into the shape of a flower which is imbedded into the lid of the urn. Click on Detailed Images for a larger image of the standard size and mini size urn. The urn is suitable for earth burial, storage, or ceremonial use. This urn will last for decades as long as it is kept inside in a dry environment.